StackAnalyzer is available as an integral part of the SCADE Suite, the market-leading mission and safety-critical embedded software devel­op­ment environment from Esterel Technologies. 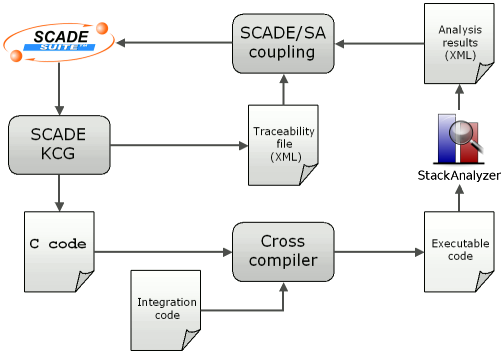 Thanks to the integration of StackAnalyzer, SCADE is the first embedded-software development environment worldwide to feature worst-case stack usage analysis at the model level. Within the Suite, the tool is found under the name Timing and Stack Verifiers. The automated flow between SCADE and StackAnalyzer provides for a seamless integration into the de­velopment cycle. The StackAnalyzer–SCADE coupling is currently available for PowerPC. If you are interested in a different target processor, let us know at info@absint.com.